Tired of feeling down, worried or stressed? Did you know that, as human beings, our brains are hardwired to focus upon the negative? From an evolutionary perspective, we were unlikely to survive as a species if we spent more time admiring the daisies than we did watching out for saber tooth tigers. Would you like to shift this aspect of your neurological wiring? One way is - when you experience something positive - to really take some time, pause, and focus upon how it feels in your body as you really put your attention on what feels good to you. Take some time - at least 10 seconds, and up to 30 seconds when possible - to fully focus upon this and truly take it in as deeply as you can. Not only will the good feelings expand but you will be helping to settle and calm the nervous system. The brain and the nervous system tend to gravitate towards what feels familiar. So, once locked into chronic anxiety, the brain becomes like a worry-seeking missile. Spending more time hanging out with the positive, and truly bringing a calm relaxed felt sense of that into the body, will help to retrain your nervous system to enjoy hanging out in peacefulness and calmness. Regularly doing this several times/day - which is NOT difficult since this would involve a time investment of less than 10 minutes per day - on an ongoing basis, will help to change your physiology and therefore your life, for the better. For an even deeper experience of this, a somatic experiencing therapist can help you to practice shifting back and forth from what is upsetting to a calm, happy state - in so doing, over time you will find out that, in addition to effortlessly spending out more time feeling happier, you also will increase your capacity to deal with stress and distress. 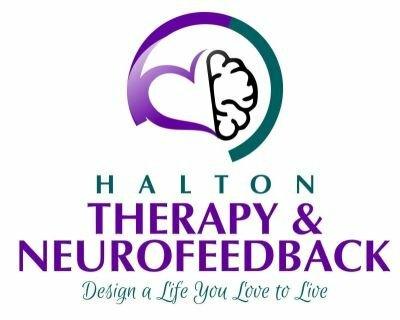 In addition, neurofeedback can help you to deepen and expand upon overall feelings of wellness, happiness and joy. When we optimize our brain functioning, all kinds of issues from all kinds of areas of our life - areas such as mood, digestion, academic performance, stress, sports performance, cognitive abilities and ore - tend to improve.